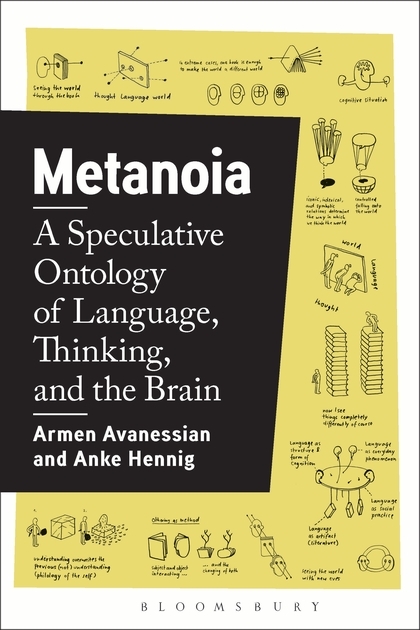 Metanoia: A Speculative Ontology of Language, Thinking, and the Brain, Ed. by Armen Avanessian and Anke Hennig, Bloomsbury Academic, 2017. Fusing speculative realism, analytical and linguistic philosophy this book theorises the fundamental impact the experience of reading has on us. In reading, language provides us with a world and meaning becomes perceptible. We can connect with another subjectivity, another place, another time. At its most extreme, reading changes our understanding of the world around us. Metanoia- meaning literally a change of mind or a conversion-refers to this kind of new way of seeing. To see the world in a new light is to accept that our thinking has been irrevocably transformed. How is that possible? And is it merely an intellectual process without any impact on the world outside our brains? Innovatively tackling these questions, this book mobilizes discussions from linguistics, literary theory, philosophy of language, and cognitive science. It re-articulates linguistic consciousness by underlining the poetic, creative moment of language and sheds light on the ability of language to transform not only our thinking but the world around us as well.